I love a little bit of bling! I made a Pampering Pouch (Free pattern on my website) using some shiny gold faux leather and some Alison Glass Ex Libris. I used Michael Miller Sun Tiles for the lining. I added pintuck pleats to the front to play a bit more on the angles in the fabric print. 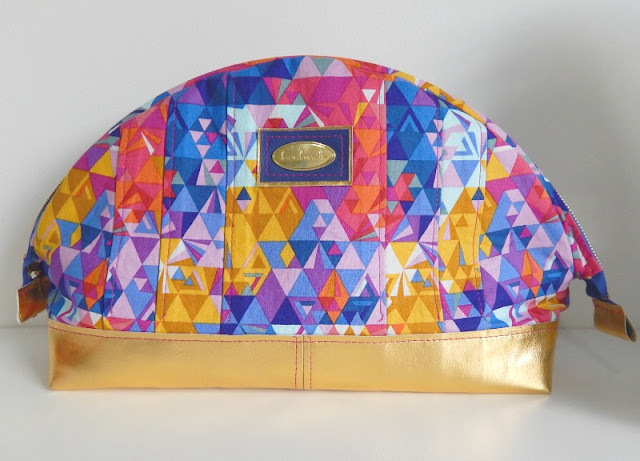 I used a shiny gold 'Handmade' label from Emmaline Bags for added bling and framed it with navy and gold faux leather. 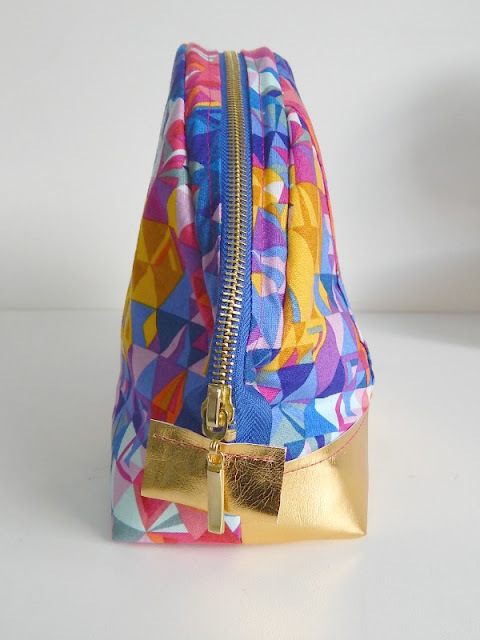 I used a dark blue zip with gold teeth and pull, and as if this pouch hasn't got enough bling, I added gold faux leather to the zip ends! They also help keep the bag wide open when it's unzipped. 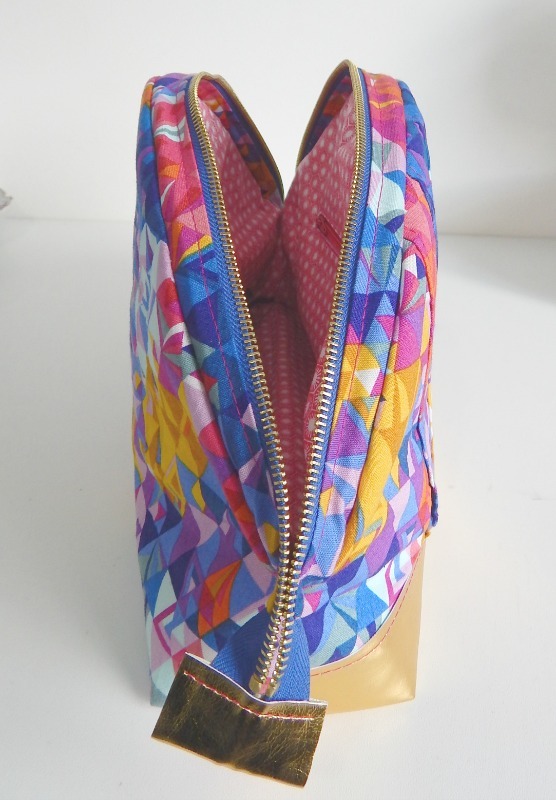 I only added elastic holders to one side of this pouch. 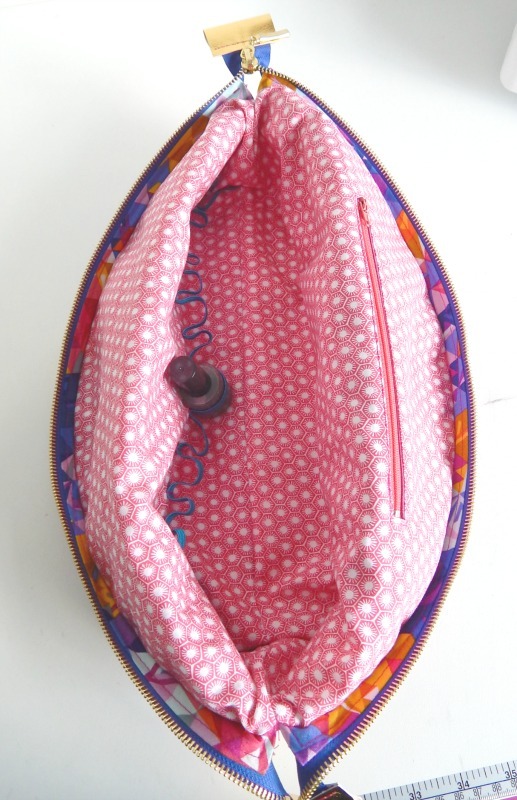 If you'd like to make your own Pampering pouch, the pattern is free on my website.